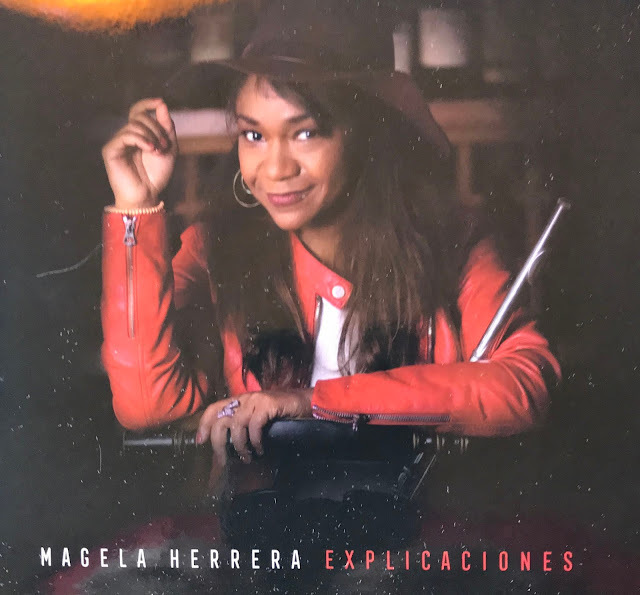 Music Man Blog: CD Review: Magela Herrera "Explicaciones"
CD Review: Magela Herrera "Explicaciones"
Vocalist, Composer and Flute Virtuoso Magela Herrera has just released her first solo CD, "Explicaciones". Magela is Cuban born and has a unique background that includes Latin Jazz, Euro Jazz and classic Afro-Cuban traditions. She credits the time she lived in Norway for her "Aha" moment when she discovered her musical personality. "I honestly wanted to make an album earlier in my career, but I was too shy, and I could never complete a tune. At the time, I was limiting myself to Cuban music and hadn't really explored other styles. I consider my time in Norway to be my "Aha" moment. All my professors there were more into inspiring and pushing students to find our own sound, whatever genre it happened to be. They didn't force us to follow rules. On "Explicaciones" applying that freedom to classic Cuban tunes really helped me hone in on my sound as an artist". Another major influence occurred when Magela moved to Miami. For the past two years she has immersed herself in the city's vibrant Jazz, R & B, Funk and Electronica scenes. The music on this CD represents the influences and changes in Magela's musical life. Each song tells of her experiences. The title track, "Explicaciones" written by Magela begins with a simple Percussion-Flute dance and then moves into a beautiful lead vocal, sung in her native Spanish. Magela did the Arranging for the CD. I have attached a "Youtube" of Magela Herrera singing the title song from the CD below. It will give you a musical taste of Magela's many musical talents. This CD is being released on January 21, 2019 and it's sure to be major candidate for the list of the best Latin CDs for 2019! I highly recommend it! 8. "My One and Only Love"